Spain's public prosecutor has agreed to substitute Lionel Messi's suspended 21-month prison sentence for tax fraud with a fine. The Barcelona superstar was given the jail term last July after being found guilty - alongside his father Jorge - of three counts of tax fraud. It was ruled that Messi, between 2007 and 2009, defrauded Spain of €4.1million relating to earnings from image rights. An appeal against the sentence was rejected by the Spanish Supreme Court in May. However, Spanish news agency EFE reports that the public prosecutor has agreed to substitute the sentence for a fine of €255,000. 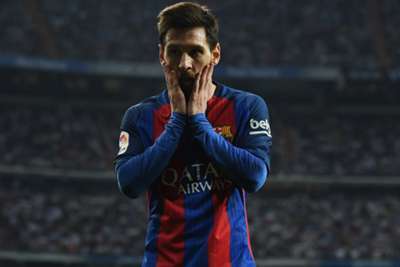 During the initial trial in 2016, Messi consistently denied any involvement, insisting his focus was only ever on playing football.